Jordana Brewester went shopping in a perfectly summery outfit. 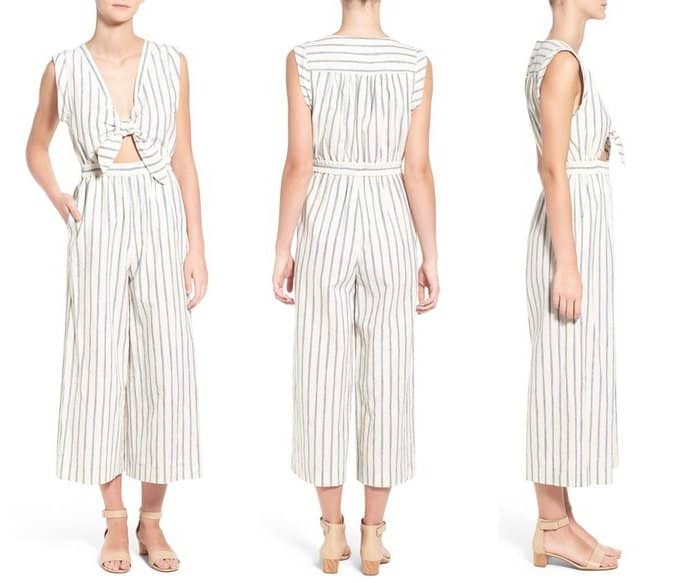 The combination of stripes, cut-outs, denim and sandals is so quintessentially summer that we can’t help but do a double take, scan from head-to-toe and commit it to memory for future use. 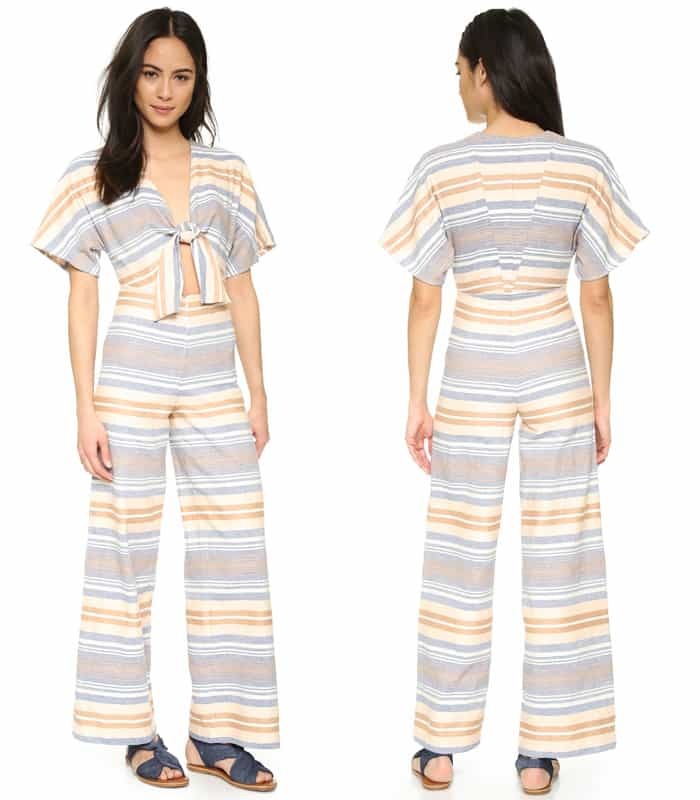 The ‘Fast and the Furious’ actress wore a striped jumpsuit from Madewell that showed off a hint of her midriff. She styled it with a denim jacket wrapped around her waist, a pair of gold-tone sandals, a black shoulder bag and a pair of black sunglasses. We really love the easy and breezy panache of this look. 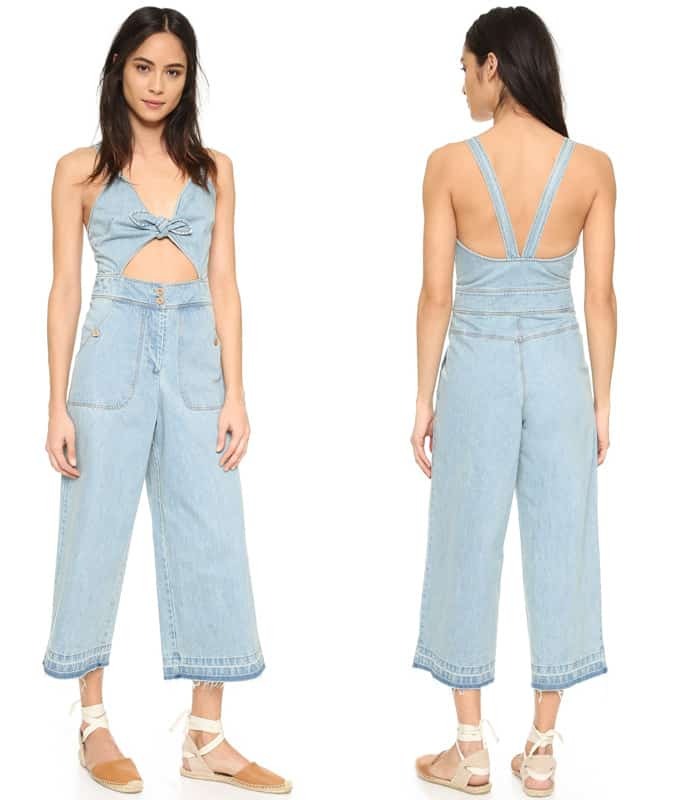 Thankfully, the jumpsuit is still available at Nordstrom. 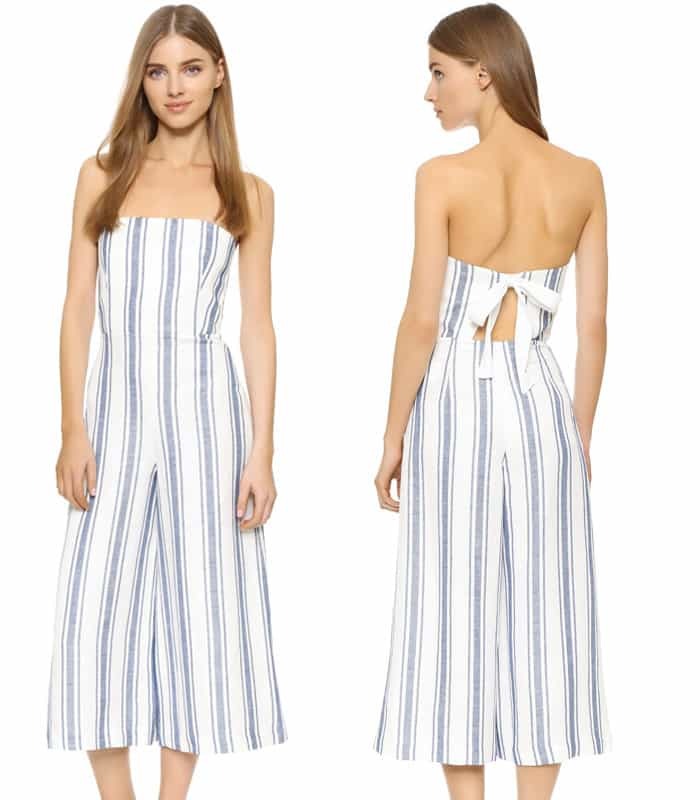 Jumpsuits are an easy and stylish choice for the summer. So, if you love the look, we have some alternatives you might want to check out.